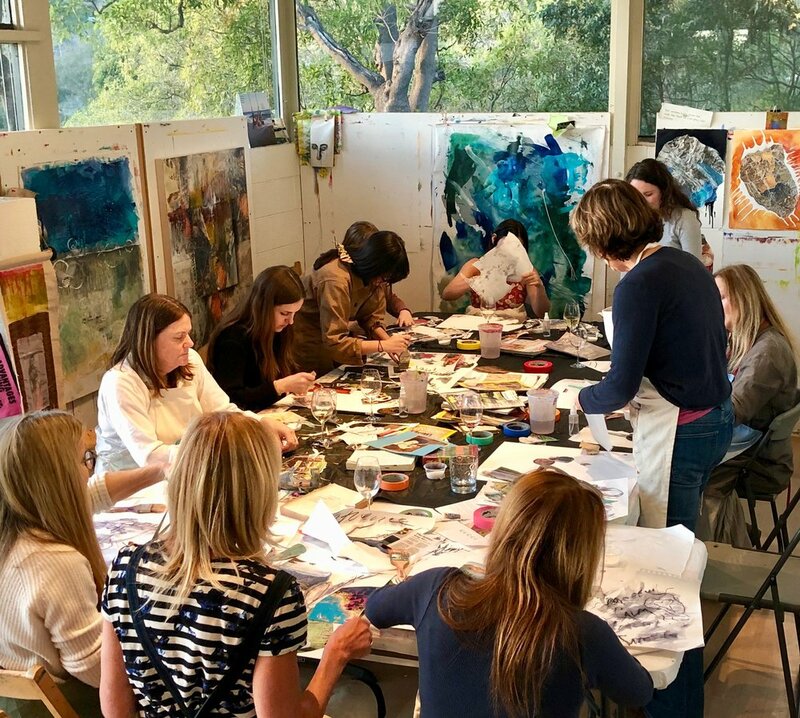 When I look back at why I started The Art Process Studio, I can clearly see a through line of experiences that guided me in the direction of teaching art classes in the particular way that I do. As is often the case, that realization is only seen in hindsight. 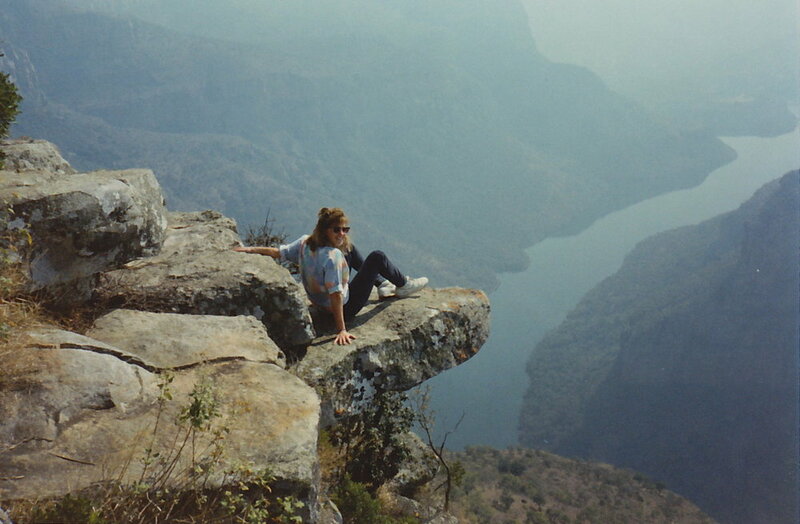 Growing up in South African during the apartheid years was an intense time of self inquiry. My mother was an artist, and I grew up both encouraged and scrutinized in my own artistic endeavor. My mother was a self-taught wonderful painter but stopped painting at the age of 45. In her words: “Something had dried up inside her”. All I remember feeling as a young girl, was anger at such a waste of a talent. What I didn’t know at the time was that she was suffering from untreated depression. Of course that did not stop her from being critical of my artwork, probably out of a misguided attempt to help me. I stopped showing my mother my artwork after a while. I didn’t want to relive that feeling of not being good enough to pursue art as a career. Needless to say, I did go to Michaelis art school in Cape Town but with a real lack of confidence in my own work. I enjoyed the atmosphere in art school: the exchange of ideas, the political protest art and the late night studio parties! However, it was not a particularly supportive environment. Critiques consisted of a line up of professors pulling my work apart as I stood there feeling once more both intimidated and irrelevant as an artist. I decided to pursue a program in art education to try to understand how one teaches art and whether art was relegated to the elite few who were somehow born with “magical talents”. All of that is background to me emigrating to the USA in 1985 (the height of the state of emergency in South Africa). I began to teach art in various schools. My first job was in a high school for students with learning differences. I established the art department and created the curriculum. Many of the students who chose art as an elective were struggling in other academic areas. When they walked into the art studio, I could sense an immediate sense of relief. Here was an opportunity to express themselves through art in ways that they were not able to do in language. That experience significantly impacted my approach to teaching art. In all of the schools that I taught at, it seemed so obvious to me that art as a form of personal expression could only be encouraged in a safe, supportive environment. Time and time again I would witness the explosion of creativity when children were allowed to experiment in a way that they didn’t feel judged on the merits of their work but on their openness to the process of creativity. The benefits were clear: Excitement about making art and conversely the lack of fear of failing or not doing it “properly”. I have a firm belief that the process of art is not relegated to the “gifted” few but is available to anyone who wishes to express themselves in this language. These are the reasons that I decided to start “The Art Process Studio”. My goal has been to make the process of creativity available and accessible to all ages and stages...including those that have never done any art before. In my studio everyone is encouraged, inspired and free to enjoy the enormous benefits of the art process. Aside from finding another form of self discovery and self expression, the health and wellness benefits have been well documented.